White Witch murder victim's family speak out about their heartbreak. Woman labelled as a 'white witch' faces court for killing her ex husband. A Sydney man who was tortured and killed by his “white witch” ex-wife and her fiance has been remembered as a caring person with a heart for rescuing and helping others. Brett Walker – who’s been given a pseudonym – died after he was ambushed and assaulted in his home by Raquel Gaelle Hutchison and Paul Andrew Wilkinson in 2014. The pair was found guilty of manslaughter this month by NSW Supreme Court Justice Peter Hamill, who identified Hutchison as the major aggressor in the attack. At Hutchison’s sentence hearing on Thursday, Mr Walker’s mother said she felt interminable and overwhelming pain over her son’s death. “The whole situation becomes unbearable and the pain of it all eats away at your stomach,” she said. She told the court she had flashbacks to her son’s suffering, especially during Hutchison and Wilkinson’s trial when there were “attempts to make him, the victim, into the perpetrator”. Hutchison, who was mentally ill, feared her ex-husband was abusing children and exposing them to ghost hunting, demonology and other paranormal activity, their trial heard. 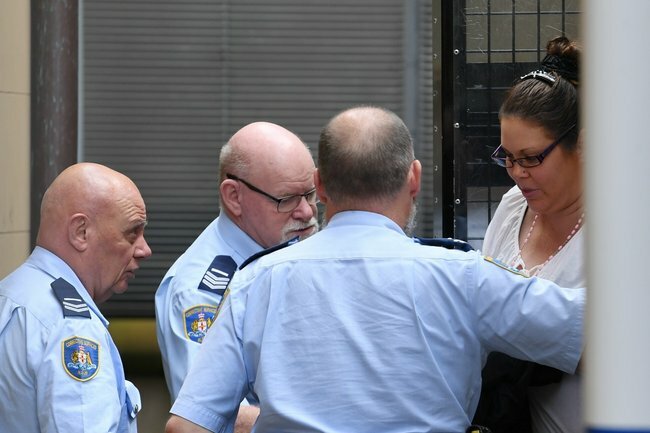 She and Wilkinson, who both dumped Mr Walker by an isolated dirt road north of Sydney following the assault, said they only intended to extract a confession. Mr Walker’s mother on Thursday said it was “easy to denigrate someone who cannot stand up for themselves or fight for the truth”. She said “the real Brett” was a keen outdoorsman and disability carer with a heart of gold and a passion for the underprivileged. “Raquel, you were at the receiving end of his help many times,” she said. The 250-plus people who attended her son’s funeral were mostly those whose lives had been touched or impacted by him, she said. Justice Hamill in his verdict earlier this month said he wasn’t required to make a finding on whether Mr Walker abused children. He said he had no doubt Mr Walker exposed children to strange things “due to his interest in esoteric paranormal activities” but there was also evidence Hutchison considered herself a Pagan or white witch. Hutchison and Wilkinson will be sentenced in 2019.